Be faithful – even when it doesn’t make sense! The story of Joseph is a remarkable account of faith and stewardship. Joseph was a man with a dream – literally. He dreamt of occupying a position of greatness and power. He saw his elder brothers and even his parents bowing down in submission to him. Yet, the circumstances he found himself in were anything but great. First, his brothers, out of envy over his annoying dreams, conspired to kill him. Instead they sold him off as a slave to some traders. He was taken far away to Egypt where he was bought by a powerful government official named Potiphar. While in his house, Potiphar’s wife lied against him because he refused to have sexual relations with her. He was thrown in prison and remained there for not less than two years. The vision of greatness must have been growing dim by this time. Now Joseph had been taken down to Egypt. And Potiphar, an officer of Pharaoh, captain of the guard, an Egyptian, bought him from the Ishmaelites who had taken him down there. 2 The Lord was with Joseph, and he was a successful man; and he was in the house of his master the Egyptian. 3 And his master saw that the Lord was with him and that the Lord made all he did to prosper in his hand. 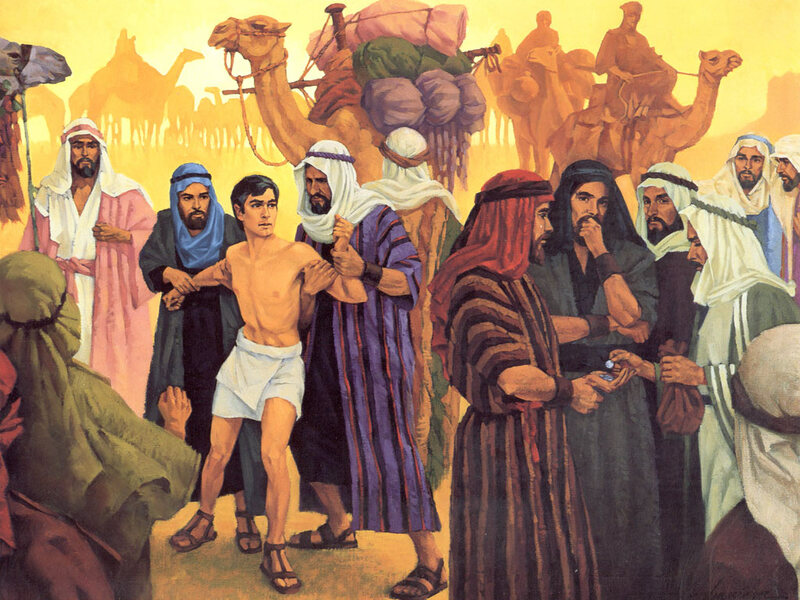 4 So Joseph found favor in his sight, and served him. Then he made him overseer of his house, and all that he had he put under his authority. 5 So it was, from the time that he had made him overseer of his house and all that he had, that the Lord blessed the Egyptian’s house for Joseph’s sake; and the blessing of the Lord was on all that he had in the house and in the field. 6 Thus he left all that he had in Joseph’s hand, and he did not know what he had except for the bread which he ate. God blessed Potiphar’s house on account of Joseph. And Joseph was promoted to head of all household servants. In the midst of his misfortune, the light of God’s favour came shining through. Joseph served faithfully even though it seemed like his life had been turned upside-down. He remained faithful, even when it didn’t seem to make sense. And that is what God calls us to today.